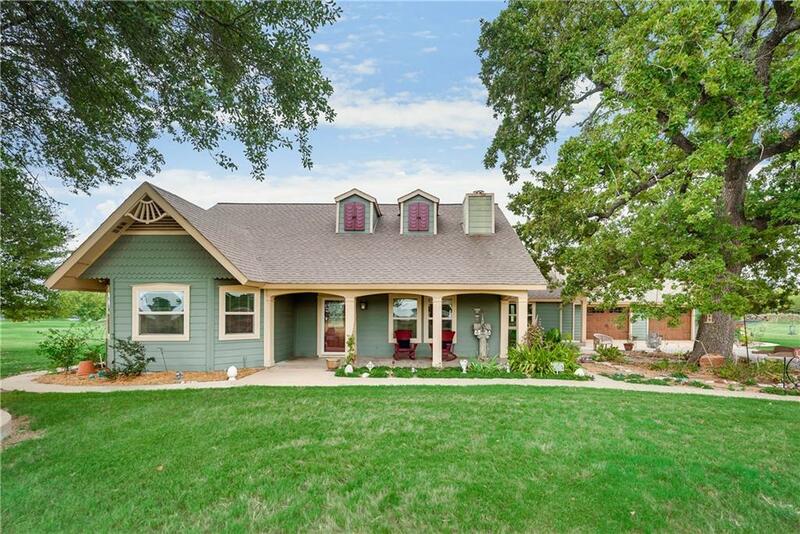 ENJOY COUNTRY LIVING near the City! MOVE-IN READY! 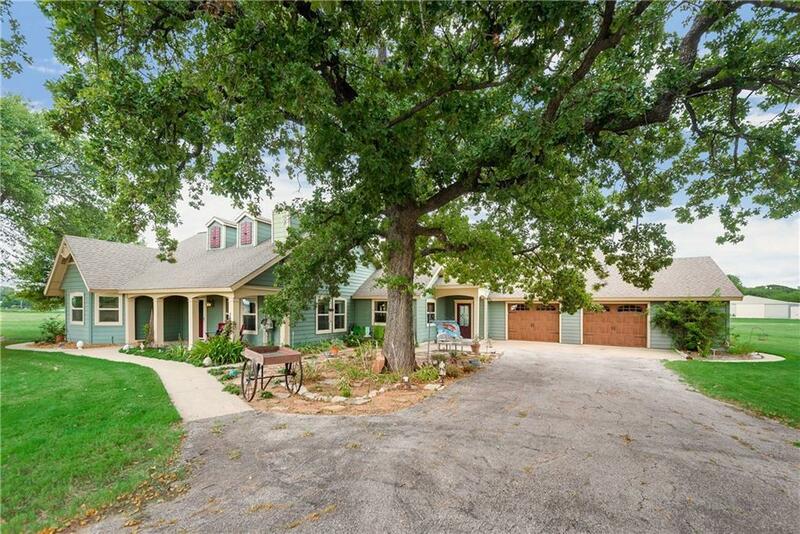 Beautiful Texas inspired CRAFTSMAN nestled among big oaks on a picturesque 10.77 acres. This 1-story 4 bedroom home's impeccable total reno-addition completed 2011. Kitchen w SS appliances, granite and travertine counters, cabinets, bkst bar open to the spacious dining and great rooms. Stone FP, custom iron chandelier and wall of windows offer indoor-outdoor living. 2 master retreats. Top quality hardwood and slate floors and more high-end touches. 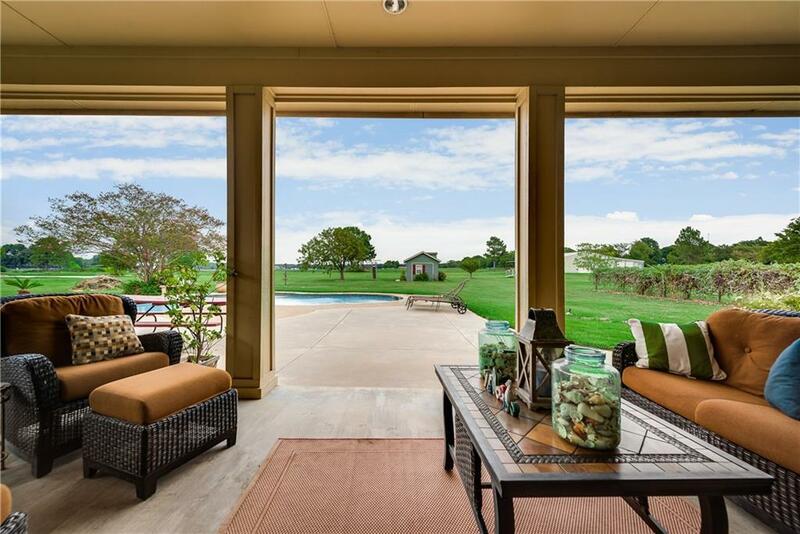 Saltwater pool, pond, and playhouse, and extra garage storage. Huge workshop w electricity. 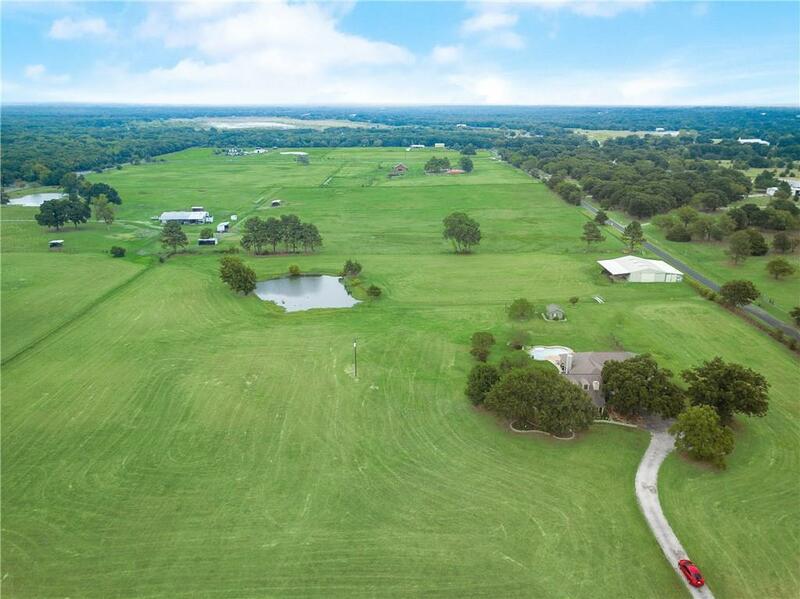 Fenced, perfect for horses and livestock. 9.52 acres are hay producing Hunt CAD AG exempt. NO HOA. COME SEE Poetry Paradise!